A wildlife photograBear framing the perfect shot: a polar bear looks through a camera lens in Svalbard, Norway. Drive safe! 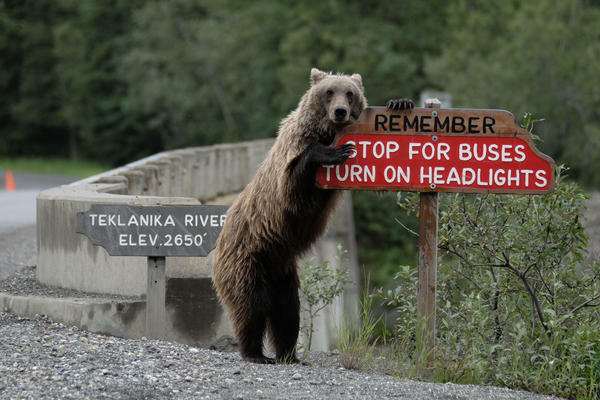 A grizzly bear holds onto a sign in Alaska. 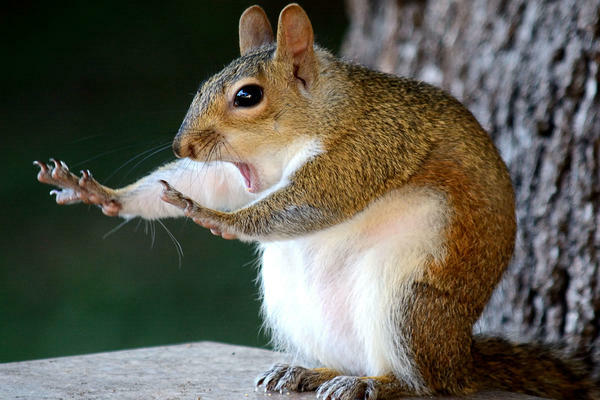 "It wasn't me!" A squirrel extends its arms in Florida. So there! 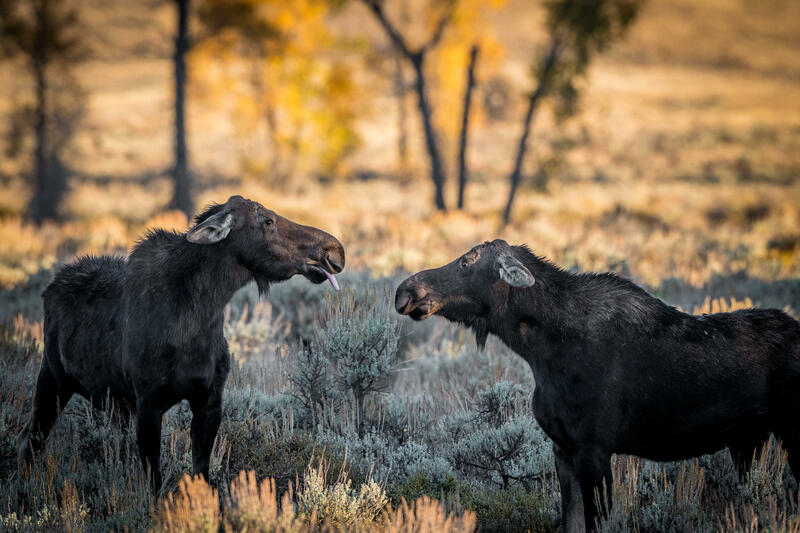 A moose sticks its tongue out at another in Wyoming. Prepare for takeoff! A hyena appears to sprout wings in Kenya. 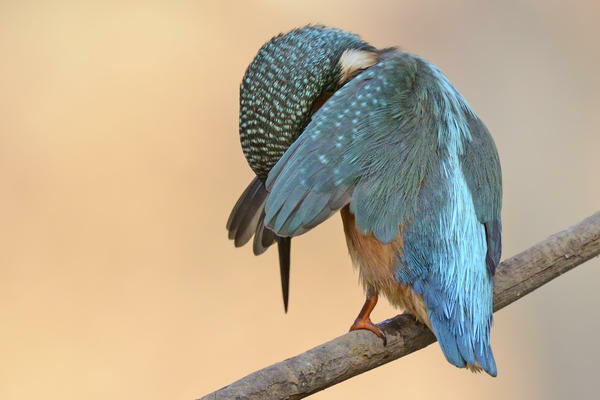 Ashamed: A kingfisher hides its head in its wings in Huelva, Spain. 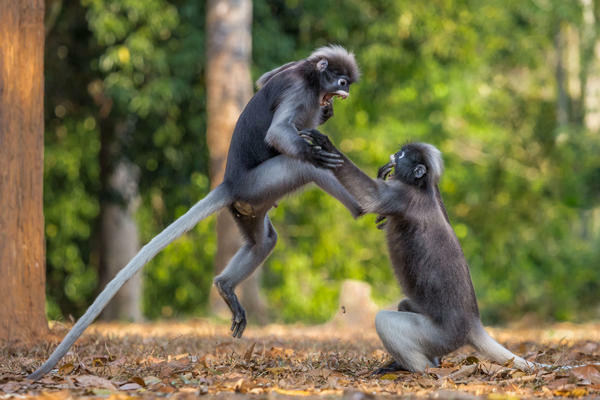 This is Sparta: Two dusky leaf monkeys fight in Kaeng Krachan, Thailand. 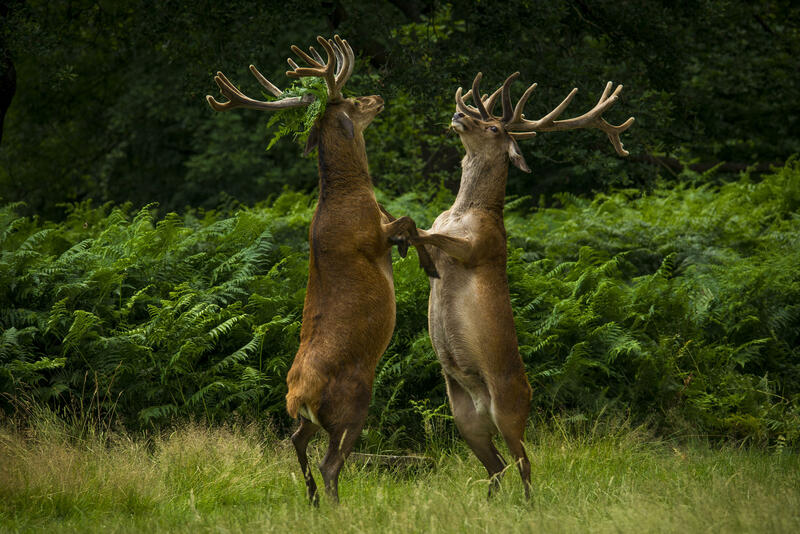 The Dance of The Deer: A pair of deer fight in Richmond Park, United Kingdom. Got a headache? A female lion covers her face while a male lion looks toward her in Kenya. Need another cup of coffee? 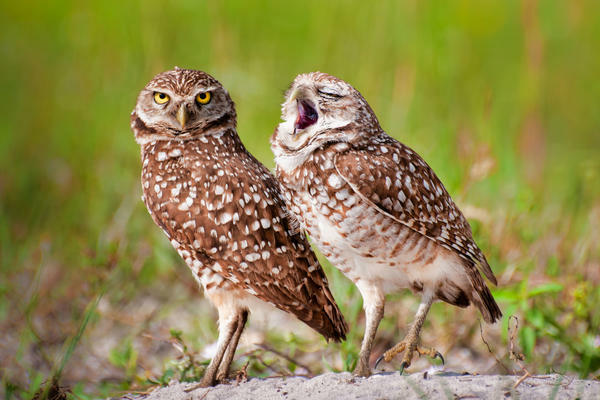 An owl yawns as another looks toward the camera in Alaska. Last year's winner was a tiny owl falling off a branch. The year before, a fox diving face-first into the snow. This year's winner will be announced in November, but the 41 finalists have been posted now — and if you visit the contest website, you can have a say in the "people's choice award." What'll it be? A bored owl? An ashamed bird? A moose clearly crooning a tuneful melody? 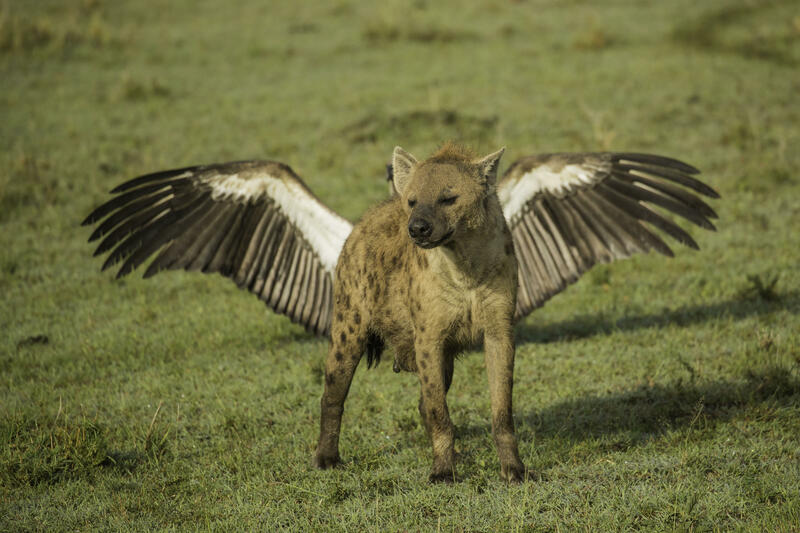 Sometimes, a miracle of timing and alignment results in wildlife photos that sound more like the Magic Kingdom than the animal kingdom: a rhino in a peacock-color tutu and a hyena with wings. Two bear cubs dancing the tango, and two deer in a very solemn waltz — or maybe a height-measuring contest. 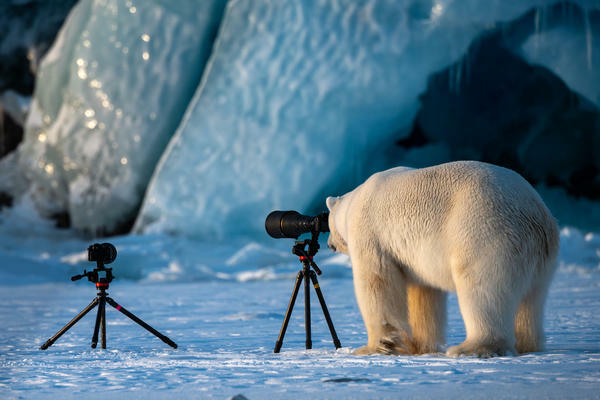 In other cases, the photos are feats of captioning, as much as photography. 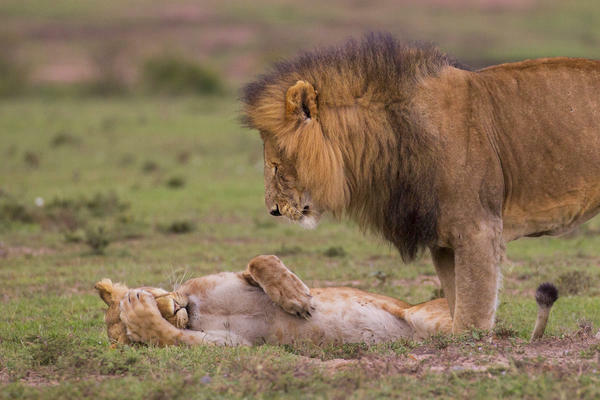 A big-beaked bird yelling right in the face of another: "I GUESS THE HONEYMOON IS OVER." A hippo chomping down on another hippo's rear: "Should Have Gone To Specsavers." 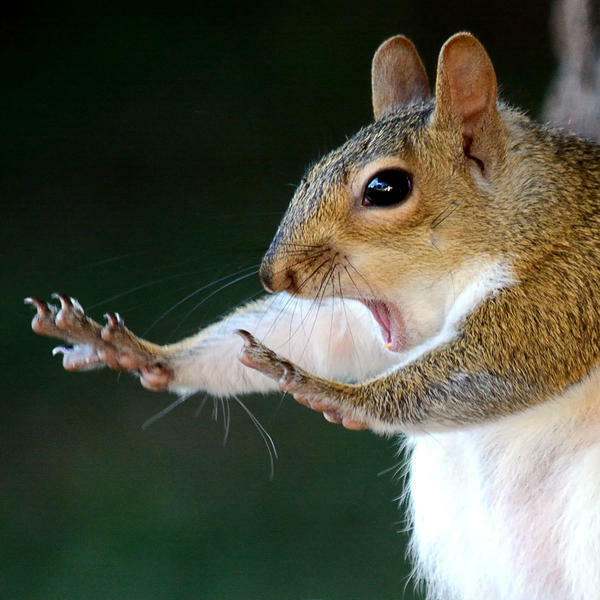 But, much like a polar bear doing yoga or a squirrel in a split, some of the puns are a bit of a stretch. 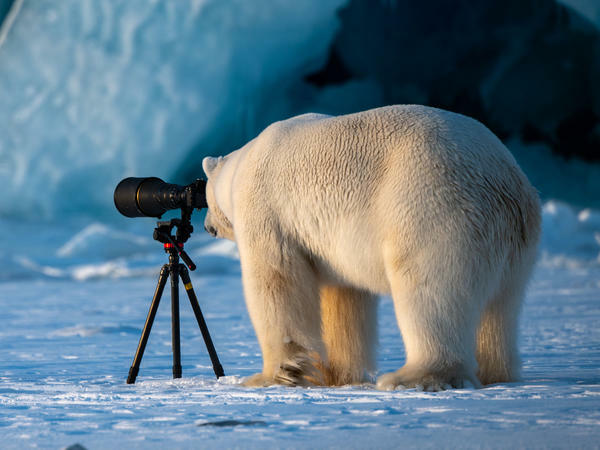 Like the "Wildlife PhotograBear." Take a look for yourself. Winners will be announced Nov. 15.